Two trains derailed in eastern India on Wednesday, killing at least four people, and authorities were investigating whether Maoist rebels were responsible, officials said. 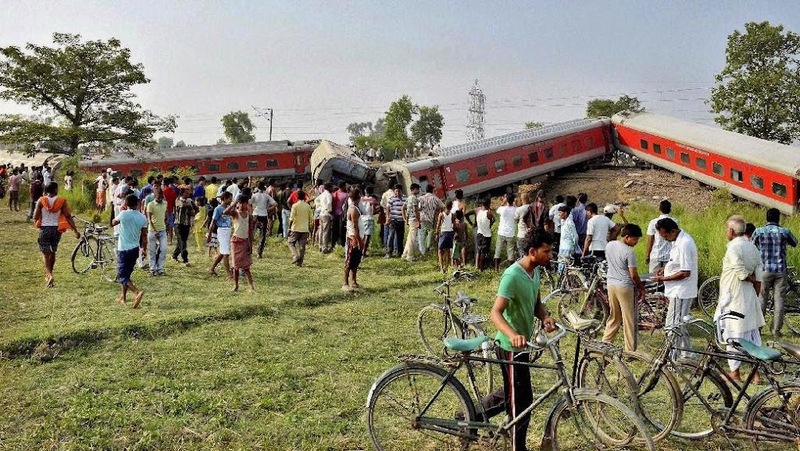 Eleven coaches of the Rajdhani Express passenger train went off the tracks near Chhapra town in Bihar state, killing four passengers and injuring eight others, district administrator Kundan Kumar said. 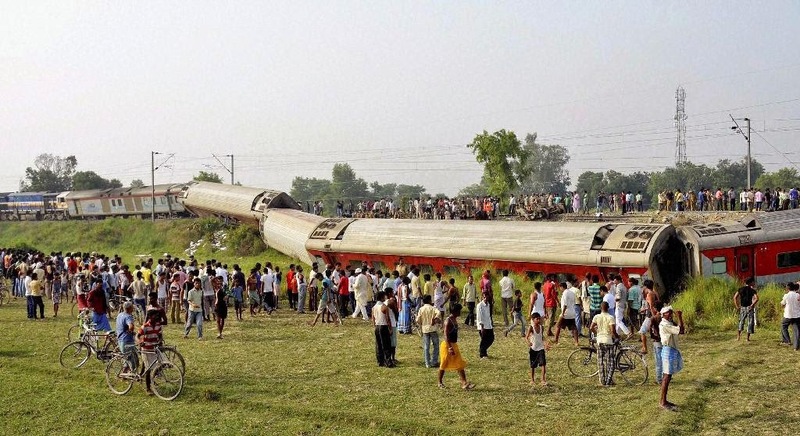 That accident was followed by a second derailment by a freight train in nearby Motihari town, leading railway officials to suspect sabotage by Maoist rebels, who are active in eastern and central India. "The cause for the derailment seems to be sabotage by the Maoists," said Arunendra Kumar, a top railway official. Federal Home Minister Rajnath Singh said the government would wait for an investigation before reaching a conclusion. "It is too early to blame the Maoists. Let us wait for the report on the incident," Singh told reporters. There were no casualties in the second derailment, railway officials said. Rajiv Pratap Rudy, a lawmaker from Chhapra, said there were about 500 passengers on the Rajdhani, which was traveling from New Delhi to Dibrugarh in the remote northeastern state of Assam. "It's a very ghastly accident," Rudy told journalists at the accident site. The rebels had announced a general strike in Bihar on Wednesday. They have been fighting the government for more than four decades, demanding land and jobs for tenant farmers and the poor. In November, Maoist rebels boarded a passenger train and killed three police guards while it was passing through their stronghold in eastern India. The rebels in the past have blown up train tracks, attacked prisons to free their comrades and stolen weapons from police. The Rajdhani Express is part of a network of fast trains connecting Indian cities and is immensely popular. Railway accidents are common in India, which has one of the world's largest train networks and serves 23 million passengers a day. Most of the accidents are blamed on poor maintenance and human error.